The coefficient of linear thermal expansion is the ratio of the change in length per degree K to the length at 273 K.
Image showing periodicity of the chemical elements for linear expansion coefficient in a periodic table cityscape style. 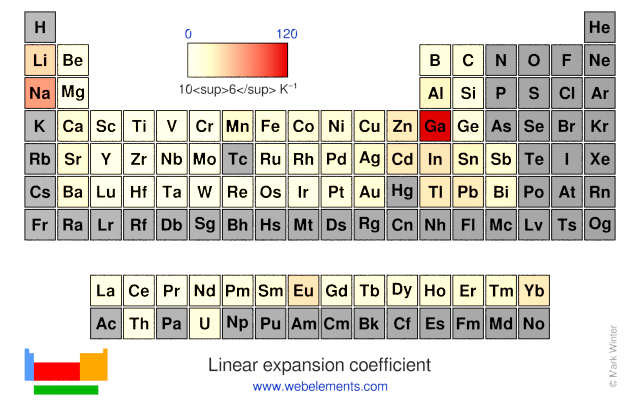 Image showing periodicity of the chemical elements for linear expansion coefficient in a periodic table heatscape style. 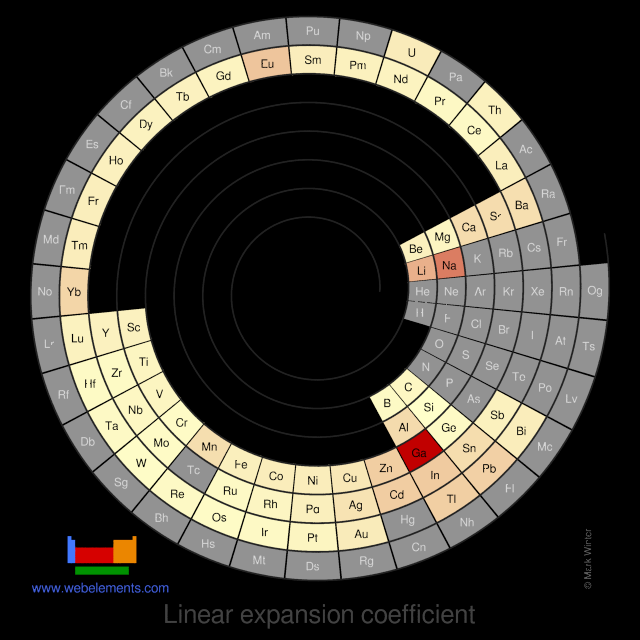 Image showing periodicity of the chemical elements for linear expansion coefficient in a spiral periodic table heatscape style. 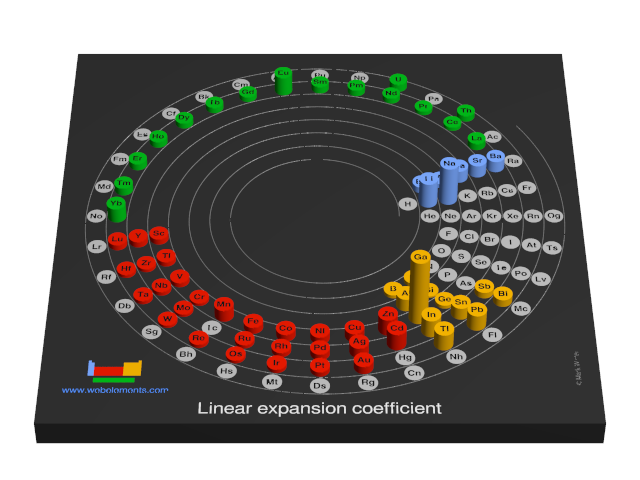 Image showing periodicity of the chemical elements for linear expansion coefficient in a 3D spiral periodic table column style. 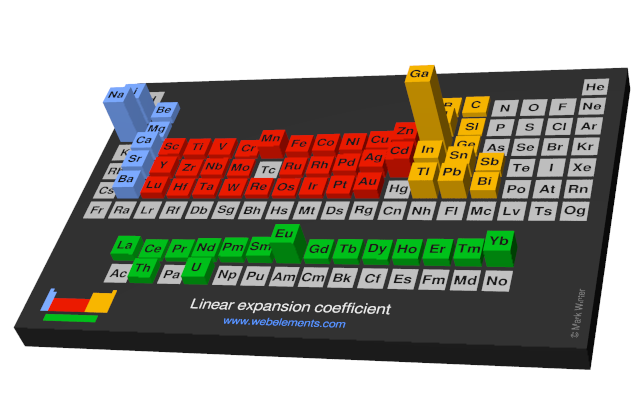 Image showing periodicity of the chemical elements for linear expansion coefficient in a 3D periodic table column style.